Purple Cat Ltd specialise in digital displays for all types of requirements including signage, information kiosks, retail advertisement, video walls etc. We can supply a wide range of sizes and types from all major manufacturers. Use the filters on the left to narrow down the list of displays matching your requirements. 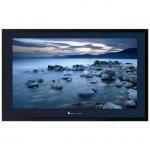 Aqualite Weatherproof Displays AQLS-42 - 42"